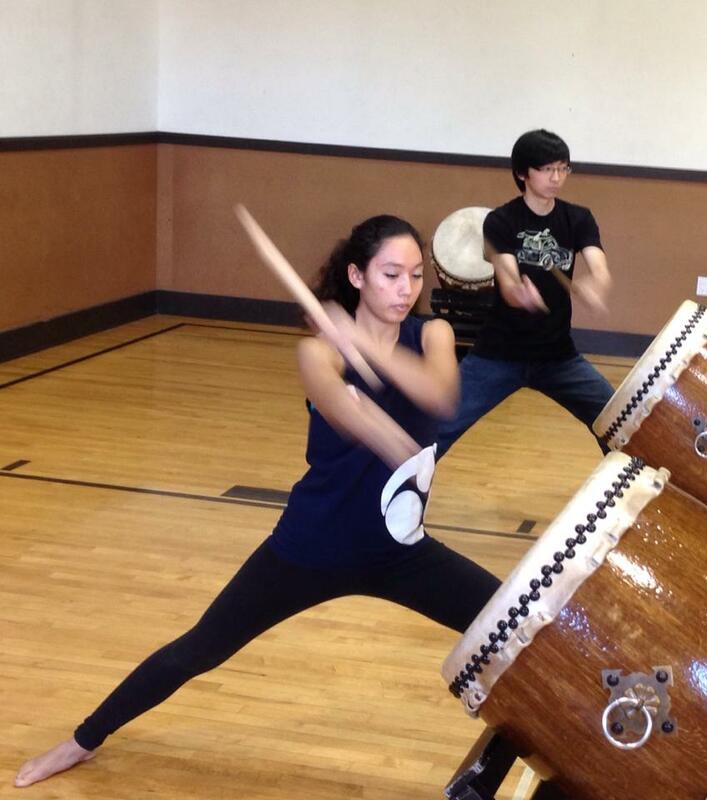 This new November Beginner class, a 4-week series, will a focus on slant-stand (naname- dai) style drumming as we explore the intricacies of Left and Right, Loud and Soft, Big and Small, Up and Down. 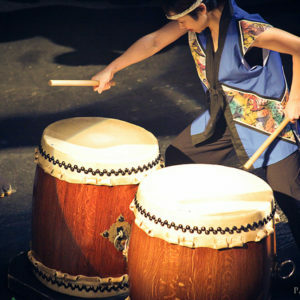 Participants will learn MATSURI TAIKO, a well-known North American taiko piece written by Seiichi Tanaka of San Francisco Taiko Dojo. 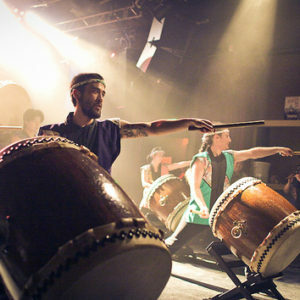 Matsuri taiko (literally ‘festival drum’ in Japanese) is a piece that uses the main elements of beginning taiko, starting with kuchi-shoga (literally means ‘mouth singing’), stance and stick technique, and also incorporates movement about the drum. Students are taught dynamics, rim playing, rhythm patterns and how to put ‘ma‘ (space) in their rhythm and ‘genki‘ (spirit) in their form.